The first page on Google search gets over 70% of clicks. We ensure that your restaurant is found online and stays ahead of the competition. Getting the restaurant website to appear on the first page for relevant keywords should be a top priority for restaurants to drive new business. We perform on-page and off-page optimization of the restaurant website to improve search engine rankings on target keywords leading to a solid online presence, search visibility and highly converting traffic. We develop a keyword strategy for the restaurant that includes the current business positioning, local competition standing, and business goals. 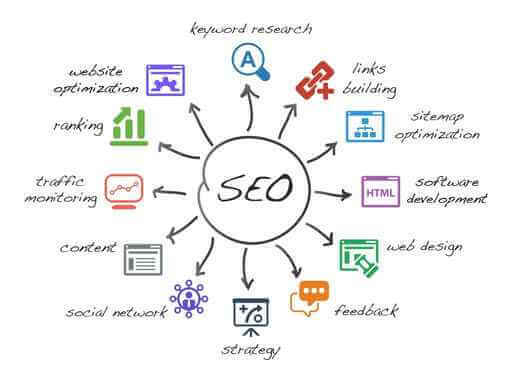 We execute the keyword strategy for online visibility, search positioning and traffic to the business. We develop content for the website, social media pages and marketing channels that are consistent with the brand and optimized for search engines. We develop fresh content for blogs hosted on the restaurant website that helps SEO and drives guest engagement. Need help with SEO for your restaurant? We can help put you ahead of your competition. Talk to us.